I think you are great. I think you are a wonderful creation. You might even be my favourite store ever. Your prices are fair. Your website is amazing (quite possibly the best online shopping store out there). Your customer service is top-notch (and in our experience when have fallen short – like that time our lawn furniture was destroyed upon delivery or that time you forgot to order the last set of tires available tires for our vehicle – you’ve fixed the situation as soon as possible). You make returns hassle free, even on-line returns which is just awesome in my humble opinion. You provide top quality meats and vegetables. You provide my prescription glasses at the best price I’ve ever found (and I’m nearly blind so this is quite the compliment). You take my amazing digital photos and turn them into wall worthy prints. You now sell me fuel for my car at a better price then the competition and sell me alcohol at ridiculously low prices. You really are amazing! But, I do have one legitimate complaint about you. Every time I step inside your giant warehouse, you take away much more money then I intended to part with. I always find a great deal or two, and end up spending more then I ever expect. And since my husband hates stepping foot in Costco (don’t be offended, he hates stepping foot in any store), I end up left to my own devises without a “conscious” to keep me in-line and focused on buying only the items on the list. Some days I come home with unexpected clothing; a book or two or three; a desk chair; wild sockeye salmon; a new kitchen table; a new pair of sunglasses, etc. Yes, usually these items are on our want list, but just not the priority list. You are amazing when it comes to finding things I either happen to legitimately need or just really want. You take more of my hard-earned cash than any other store out there. So, I started writing this post on Costco, in the same manner I’ve written other posts, laced with humor and sarcasm (see my post on Candy Crush to get an idea of what I mean). When I was there yesterday, I was mentally planning out my entertaining post – I even took photos of my cart growing and taking away my money to add to the humor (and I never have this kind of foresight to actually take photos). 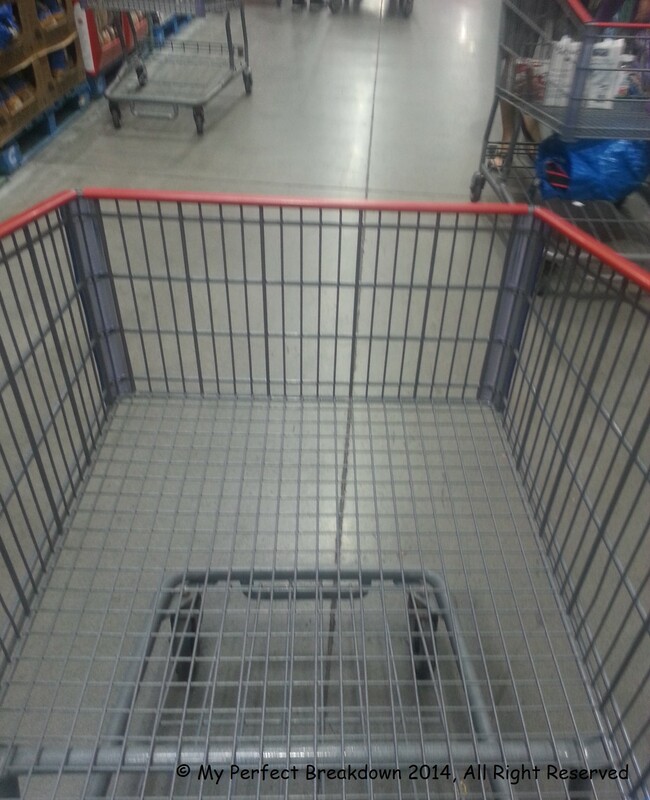 The start of my Costco adventure. Always filled with anticipation at what good deal I will find next. If you look closely you can clearly tell that I am absolutely addicted to chai tea latte’s and I love my fruits and veggies. And my dog is clearly a fan of dentasticks. But, then, with a simple google search, my thoughts on this post have been completed changed. You see, I googled Costco and started reading more about the corporation and there history. I’ve always been told that Costco treats its staff better than most corporations, but when you read about them, they actually sound like one of the best corporations out there at least when compared to other large big box stores. 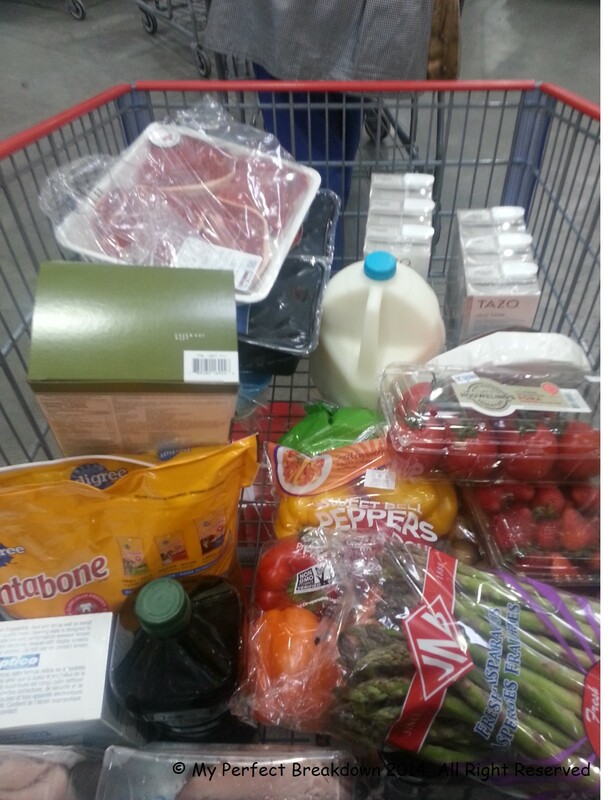 My brief online review has resulted in my initial love for Costco growing astronomically! While, I’m not saying I believe everything I read on the internet, and I’m not saying Costco is perfect (no multi-billion dollar corporation is and this recent CBC article of dog food raises some questions), I am saying on the whole the company actually really impresses me. Mistakes will be made. Decisions will be made that not everyone agrees with. But, on the whole, form what I can tell, Costco is awesome! The CBC article above mentions that no link to the dog food has not been proved. So, being a naive and trusting person, I assume Costco is making the decision to continue to sell the products based on the fact that there is no scientific evidence saying otherwise. Costco was the first company to grow from zero to $3 billion in sales in less than six years (Wikipedia) – if that is true that’s just some awesome business skills! Costco requires a membership to shop there. Now, while I like this, many others do not. We spend enough money there, that every year we actually make more money back off our executive membership then the cost of the membership. (If it wasn’t already clear, I shop there for most things, and therefore I shop there a lot). So, I actually make money off my purchases, albeit it’s not a lot of money, but money is money. To my knowledge, no other store gives me cash back once a year. And, combine this with the points I collect on my American Express, and I’m doing great! Costco pays there staff well – “Costco pays its hourly workers an average of $20.89 an hour, not including overtime (vs. the minimum wage of $7.25 an hour). By comparison, Walmart said its average wage for full-time employees in the U.S. is $12.67 an hour” (BloombergBusinessweek). If Costco can do it, and do it successfully, why can the other stores not pay their staff a living wage? This just doesn’t make sense to me. You don’t have to be married to or even reside in the same house as the second person on your membership card. For years, my husband and a friend split a membership. This reduces the membership fee. Costco allows non-members to shop in there store through the use of gift cards. So, there is always a way to shop there. Costco’s CEO “earned $650,000 in 2012, plus a $200,000 bonus and stock options worth about $4 million, based on the company’s performance….By contrast, Walmart CEO Mike Duke’s 2012 base salary was $1.3 million; he was also awarded a $4.4 million cash bonus and $13.6 million in stock grants” (BloombergBusinessweek). Seriously, those numbers are staggering when compared to the average person’s salary, but still, Costco clearly is able to attract and retain a top CEO for much less ten Walmart. Rather then laying off staff during the 2009 economic downturn, like Macy’s, Best Buy, Home Depot, and Office Depot, Costco provided a $1.50-an-hour-wage increase spread out over 3 years to all hourly staff (BloombergBusinessweek). Yes, that’s right, Costco chose to reduce their profits, and help their staff. Now, if only more companies could do this, I’m sure the world would be a better place. “Turnover at the company runs just 10% overall for hourly workers and 6% if they stay longer than one year, he told me. Those figures are miniscule compared to overall turnover rates of 67% for part-time staffers and 24% for full-timers” at other corporations (Fortune). This remarkably low turnover rate is likely indicative of staff satisfaction (no-one stays very long in a job they dislike). And of course, this would also be helping Costco’s bottom line as they are not faced with high human resource costs related to continually interviewing, training new staff, etc. Most of these stats are based on American numbers, but it appears that they treat all there staff equally throughout the world. These numbers and facts paint a very telling picture, at least to me – Costco is a corporation that understands that there is a direct link between treating your staff well and company performance. So, guess where I will be continuing to shop? Yes, that’s right – Costco! Here is my first week partaking in #100happydays. I figure partaking in this, is a great idea to remind me of all the happy things going on in my life. Just a quick reminder that I created my own rules. Photos must be taken on my Pentax K5 digital SLR, not the camera on Samsung phone. Since we spent a lot of money on the camera and it takes awesome photos, I want to force myself to use it more, and this seems like a great way to do it. I may not take photos every day. Although I think my dog would be worthy of daily photos, I don’t want to end up taking photos of our dog just to say I took a photo that day. I sort of suspect I might end up taking photos every day since I’m not very good at half committing to something – but either way, I’m not going to stress about it). I may or may not post all my photos on my blog. And there is no set schedule to when I will share the photos I take. 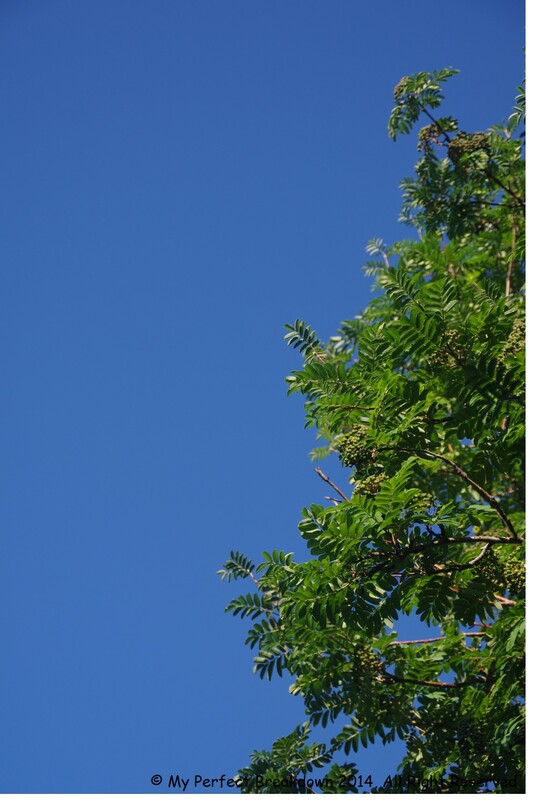 Day 1 – July 7, 2014: We live in a very sunny part of the world, and I love cloud free, sunny summer days with green leafs on the trees. The colors are vibrant and the weather is awesome. Day 2 – July 8, 2014: We had really ripe fresh nectarines that needed to be eaten. 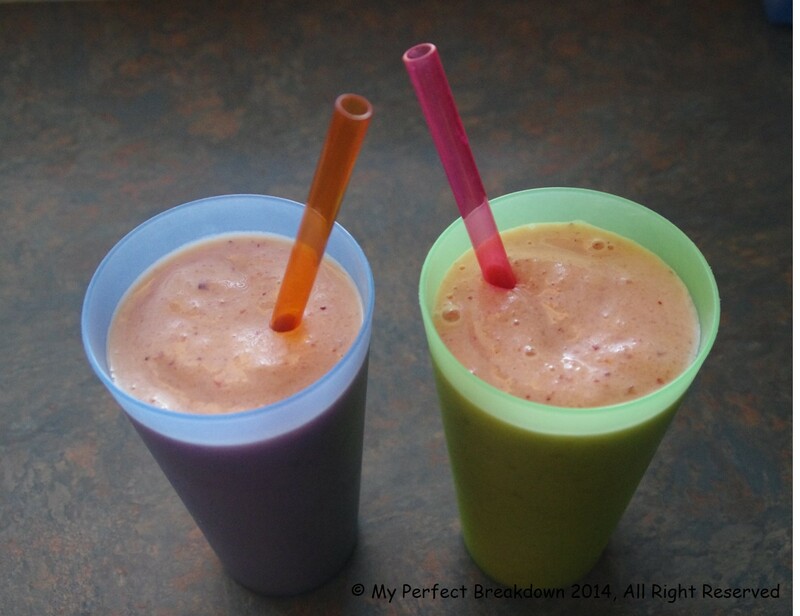 Combine with some ice, some strawberries, milk and yogurt and a dash of honey and voilà – fresh fruit smoothies. 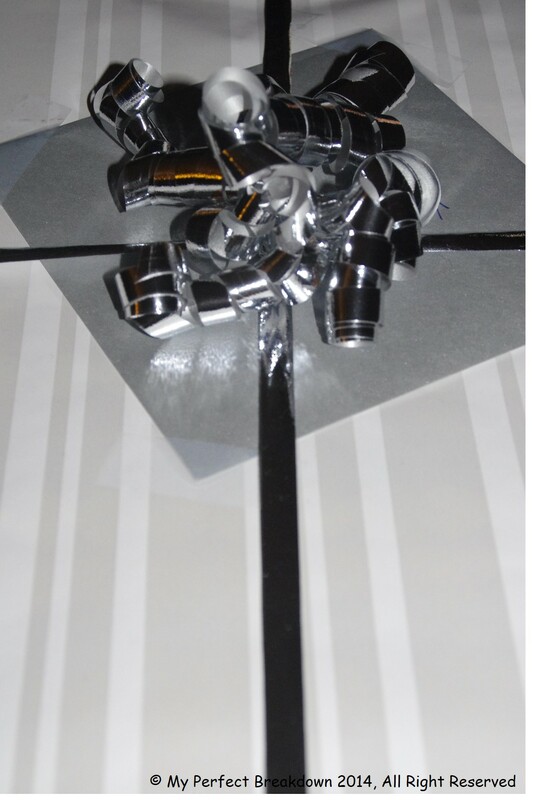 Day 3 – July 9, 2014: Wedding present wrapping. I love weddings – really, how can you not love weddings considering the hope and optimism that is associated with a wedding. Combine a wedding with my love of finding the perfect gift and my crazy passion for wrapping presents (I think I like present wrapping more than most sane people). I am known to wrap presents weeks and sometimes even months before the actual gift giving date, simply because I love wrapping presents. I love transforming a special gift into a beautiful box full of anticipation and surprise for the recipient. 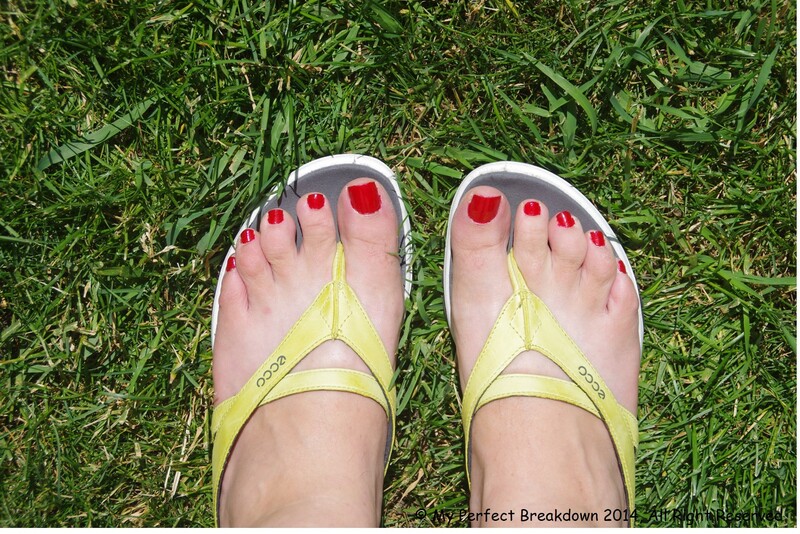 Day 4 – July 10, 2014: Yes, that’s right, these are my new every day sandals with fresh nail polish. The fact that I have new yellow sandals (as opposed to my normal color choice of black or brown) and fresh nail polish makes it a very happy camera worthy moment. 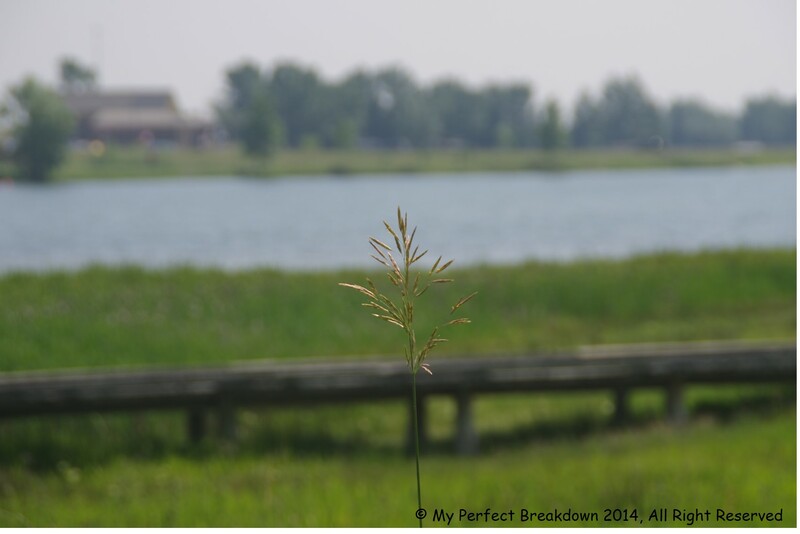 Day 5 – July 11, 2014: I went for a lovely walk around a lake with 2 amazing friends. One has known about our struggles (and has been pretty awesome), and the other did not know, only because I haven’t seen her in a while and it wasn’t something I wanted to share via text message. So, I told her, the three of us talked a lot about everything going on and she sent me a lovely text message later on saying “….thanks for sharing. You are an amazing, strong and brave women” – she was totally awesome and I know she will continue to be supportive of us whatever happens next. 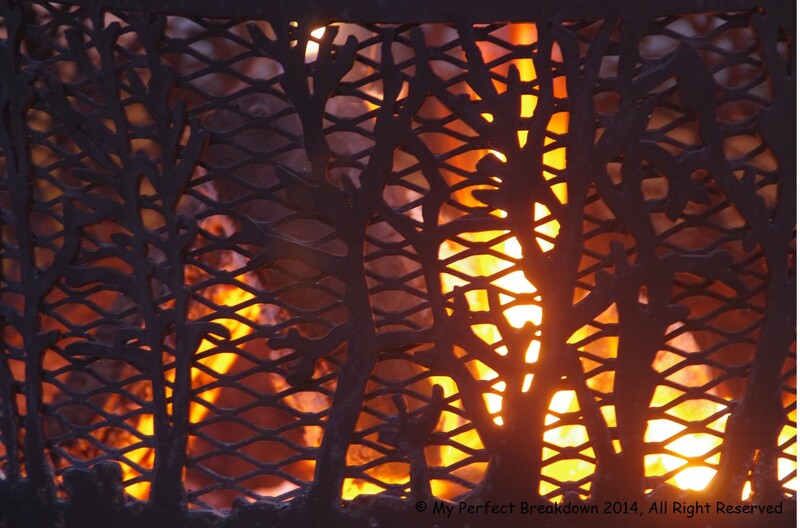 Day 6 – July 12, 2014: An evening BBQ and campfire with friends. Need I say more? 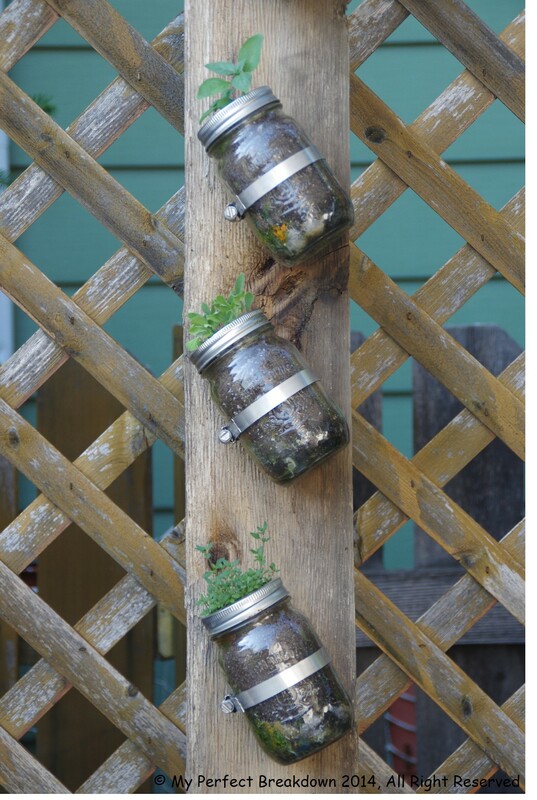 Day 7 – July 13, 2014: My fresh herb garden. We built this garden ourselves earlier in the spring using things we had around the house (an extra piece of wood, screws, pipe clamps, some rocks, dirt and mason jars). 5 of my 6 herbs have actually grown from seed, and soon enough I’ll be able to start cooking with them. Here’s to garden fresh dill, mint, basil, thyme, and sage!